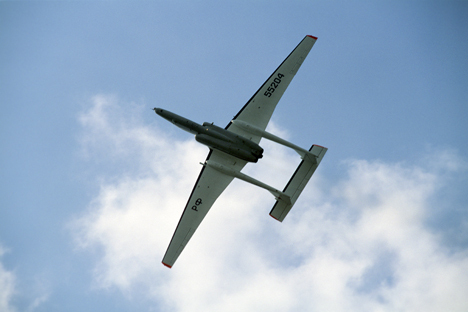 In 1995 the aircraft was equipped with Italian technology. In many ways Geophysica bypasses its counterparts. "In contrast to the American TR-1, our aircraft does not need special fuel," EMZ's press service told RIR. "The flight of similar aircraft is comparable to a spacewalk due to low pressure in the cabin. The pilot has to prepare for such flight for a few hours, but with Geophysica, such preparation is not necessary." Are we losing the battle against climate change? "Before the flight we consulted with American colleagues who previously used the U-2 there about the ultralow temperatures," EMZ's press service told RIR. "According to them, when temperatures are below -70°C it is possible to fly for no more than 15 minutes, because the fuel thickens and becomes jelly-like. However, it did not happen to us due to the design features of the aircraft."